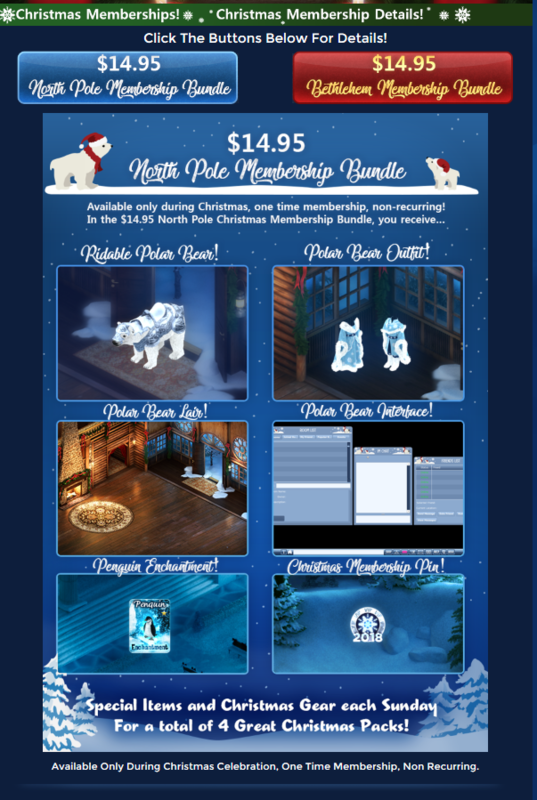 CHRISTMAS 2018 MEMBERSHIPS: Bethlehem & North Pole!!! Thank you VFK team for making such beautiful memberships!!! What do you guys think? 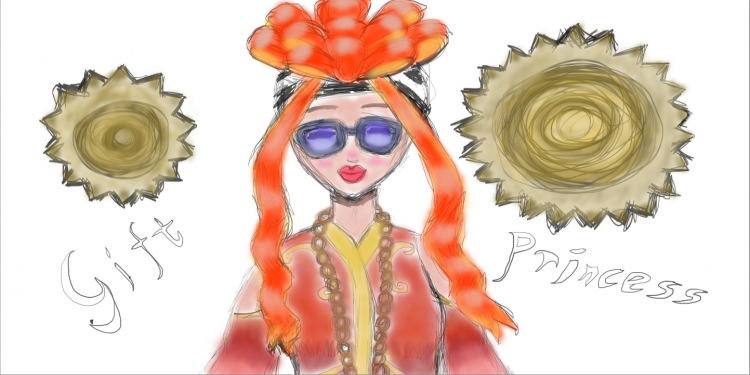 :) Share your thoughts! 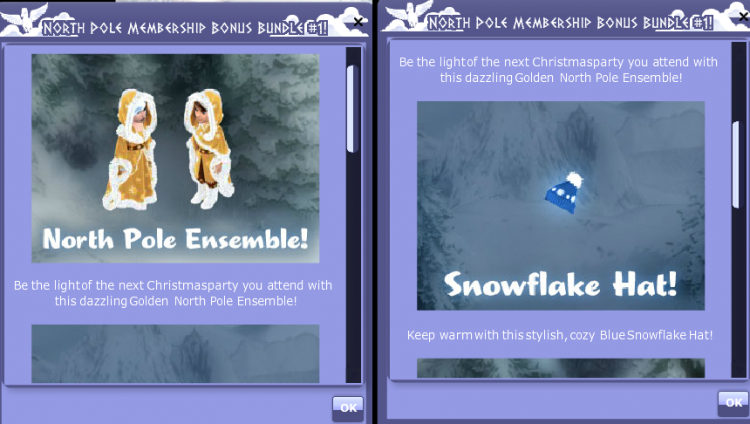 I really love the north pole membership. I love the polar bear, outfit and new room. The penguin magic is okay but not really my cup of tea. I'm also pretty in different towards pins and interfaces. The other membership is okay. I wasn't a huge fan of the one from last year. I did like the dog and angel costume we got. 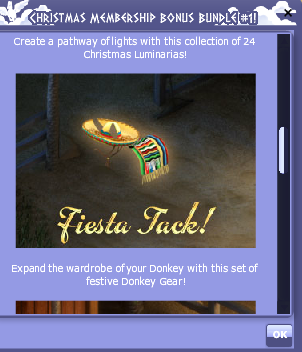 I think the donkey is cute and the stable room looks like it would be fun to possibly build with. I'm leaning towards Bethlehem more because I did Mary in Christmas plays quite a few times! 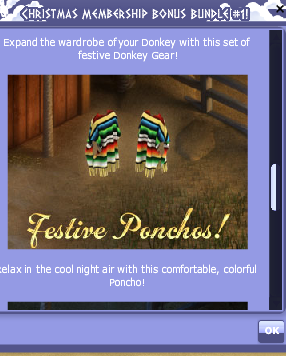 Now I can wear Mary's outfit even virtually... Bless! LOL! And the LUSCIOUS RED interface theme really stood out for me. I love it! My next theme. The polar bear mount is glorious and the VIP pin is too. They're both really good and can't wait to see the next releases! @GiftPrincess I adore the North Pole Membership!! 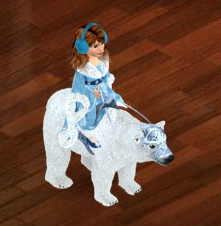 My new polar bear is awesome and the outfit is soooooooooo pretty! I wonder if there will be new hair to go with it in one of the upcoming bundles. The penguin magic is sweet too. The room is really pretty but did seem kinda odd with a polar bear living in a log cabin instead of an arctic room. Other than that its great! If it was an arctic room with northern lights above it would of been so beautiful. Not that the log cabin is not beautiful as well, it's really really pretty. Maybe an arctic room for a polar bear stable with northern lights above in the night sky? 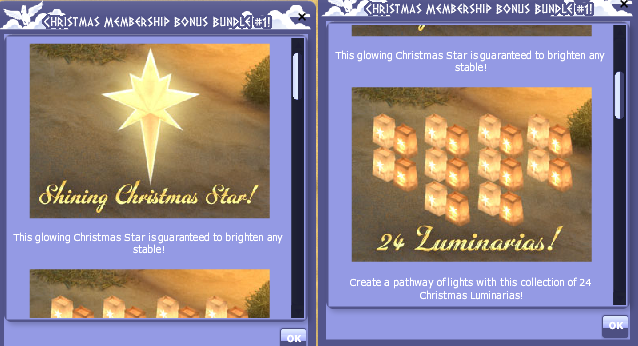 I like the Bethlehem membership too but am going to wait a bit before I decide if I am getting it or not. I also, agree that the red interface is really pretty! It might be my favorite part of the membership. The donkey is cute too. The pins to both memberships are super nice and equally well done. Side Note: Ear Muffs in picture are a craft item and NOT part of the North Pole Membership. I am wearing them cause I feel they go great with the new North Pole Membership dress. The Christmas memberships are sweet for sure. 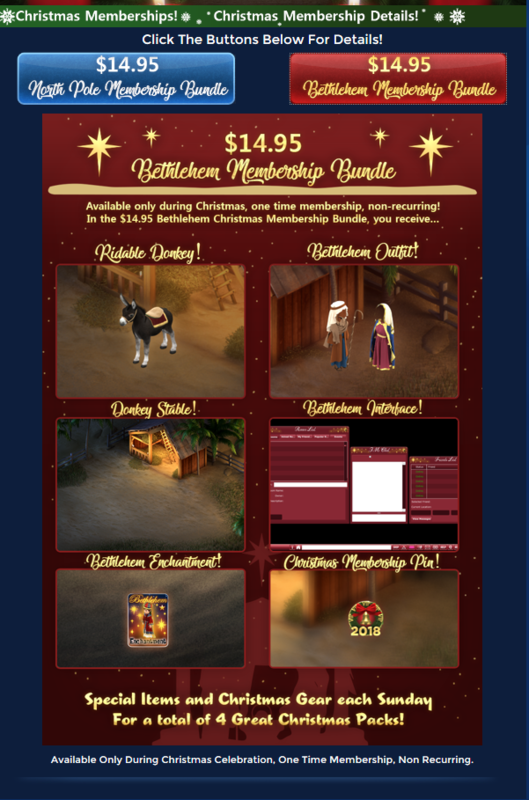 I appreciate that they released a fun winter one as well as a membership that celebrates the reason for the season. 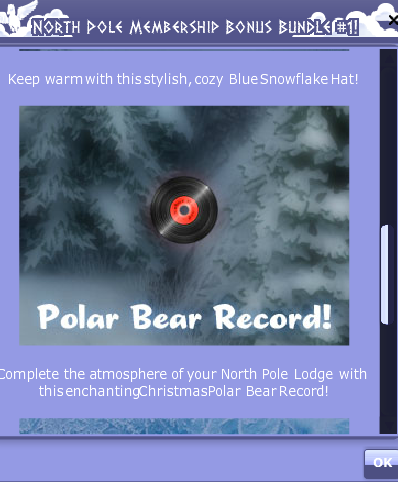 I love the rooms very much, although I wish the polar bear room was not decorated for Christmas. I would liked to be able to have it as just a winter style room as we will undoubtedly get beautiful Christmas rooms in game. Looking forward to the 4 bundles to come. I LOVE the North Pole membership! I’m so happy they went the winter route with one of the memberships because icy colours are totally my aesthetic, and it’s important to note that a) not everybody is religious and b) not everybody celebrates Christmas! So I’m glad they added a Wintery theme for the sheer fact of inclusivity. love love the polar bear membership. imho, it's my favorite of the two. 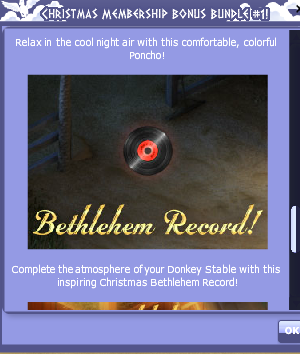 i suggested the bethlehem membership and im definitely thankful for the staff for listening and making it, but i do love the north pole items a bit more. i love the bethlehem magic the most though! I think I got the wrong bundle. Ooo! I love the lights!!! Yes, it appears you received the incorrect bundle! The North Pole Bundle comes out tomorrow at the same time! This is like the "Around the World" Christmas!!! Ah! I know @GiftPrincess !!!! Awesome memberships.. There is something for everyone here. Great work VFK! To go with that, I think we should get a red one too!!!! Same thing, just a recolor! I know that I was an opponent of this hat idea, though I am happy that @millsfan got his hat created and there are no hard feelings! Also releasing it through a membership I think is a nice idea! I absolutely LOVE the new hat. I haven't gotten to wear it yet since it hasn't loaded, but when I first saw your thread I fell in love with the Animal Crossing inspired beanie. Thank you so so much @millsfan for the idea and VFK Developers for making it happen! I can finally MAKE this outfit I wore in my original concept image!! So cool! It looks awesome. Im glad the pom pom does not stick up as much as the ninth anniversary beanie (I prefer the more slouched look, like the black and white beanie we have). This looks like such an awesome hat, surprised it was not for the upcoming host hunt. Oh well, still VERY EXCITED! WOW! I can finally make this outfit I wanted to wear 3 years ago when I made the picture on the left! On the right is the VFK Blue Snowflake Beanie that came out tonight. 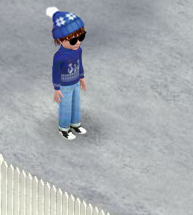 I'm really happy we now have a cool blue winter hat to wear, its awesome! The only downside is since it was not a host item, it might have not got the extra detail put into that some host hats get (the koala hat is a good example, it has a ton of variety in blue hues throughout the hat through the use of shading and the appearance of light hitting the hat). If you look at the edited image on the left, you can see that blue beanie has some varying hues of blue/sunlight shimmering on it, whereas the vfk one is more flat in color variation. Its still awesome and I will be wearing it SOO MUCH! Awesome job VFK. I do like that the pom pom sticks down a little more, and I also like that you can see the bangs when wearing the mop top hair! That was something I thought would make it look cooler when wearing : ) The VFK devs just made my night so awesome! I'm sure all of the blue beanie supporters will love this when they see it in game! Im glad the beanie was a membership item though because it will help support the game! I have to say this Christmas Bundle is awesome! 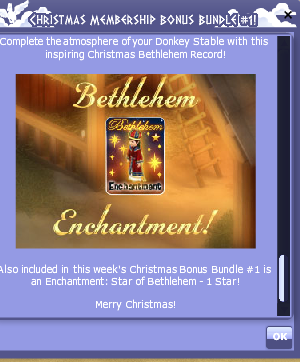 I would love to have gotten both, but only had enough for the Bethlehem bundle. I picked it because I am Christian and know the reason for the season and want to celebrate it in truth. Thanks VFK for this awesome creation.